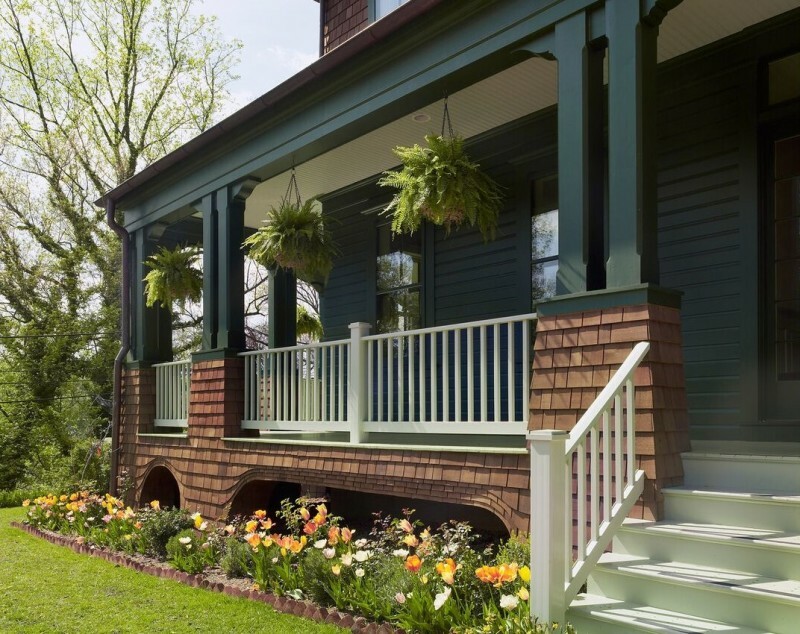 This classic shingle-style house with green trim and a wraparound porch looks it could have been standing there for generations. I was surprised to learn it’s actually a newly built home in Washington’s Palisades neighborhood overlooking the Potomac River. Take a look! Love it. Love everything about it, although I’d decorate it differently. To each her own, amIright? Oh, + if I would have won that last $$billion$$ lottery, this is what I’d do with my windfall — build + redo houses! Gorgeous house! 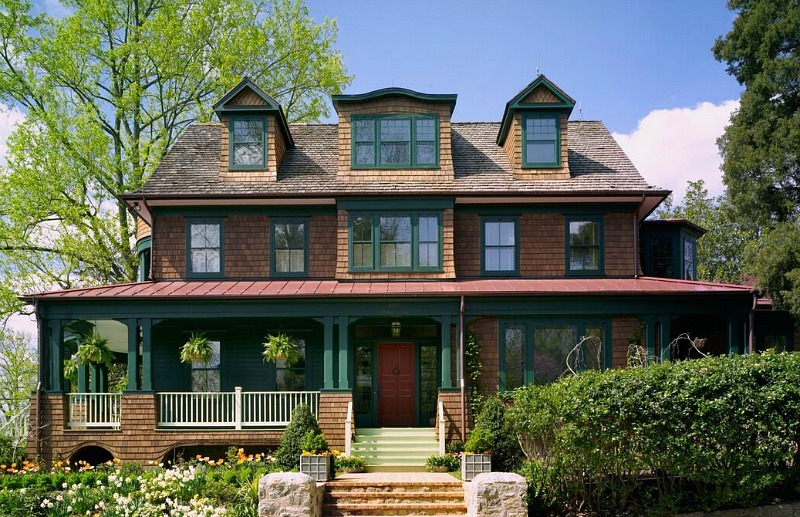 Shingle Style is one of my favorites, and they did a fabulous job of keeping the details correct. 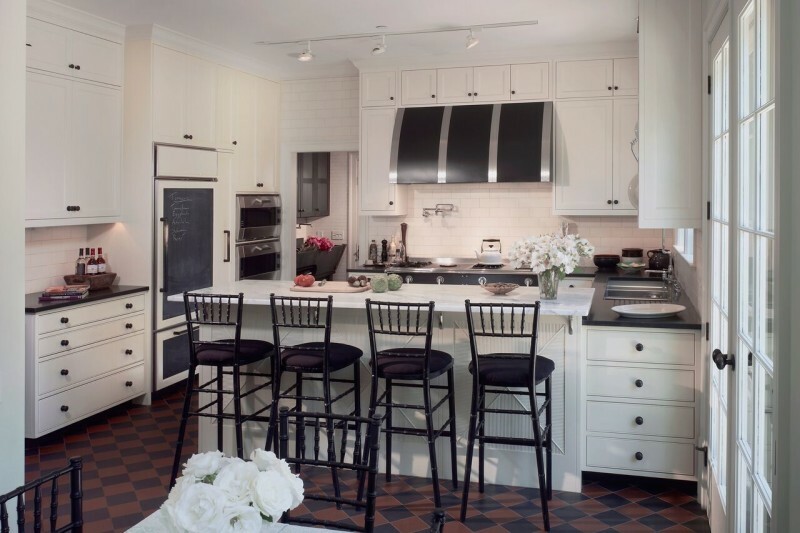 As Kay said, I would decorate it a bit differently – more antiques, more color in the kitchen, etc. – but I wouldn’t turn this beauty down. Really Like the shingles on the outside and how they did the very top differently than the rest. Makes the brick chimney look fabulous. 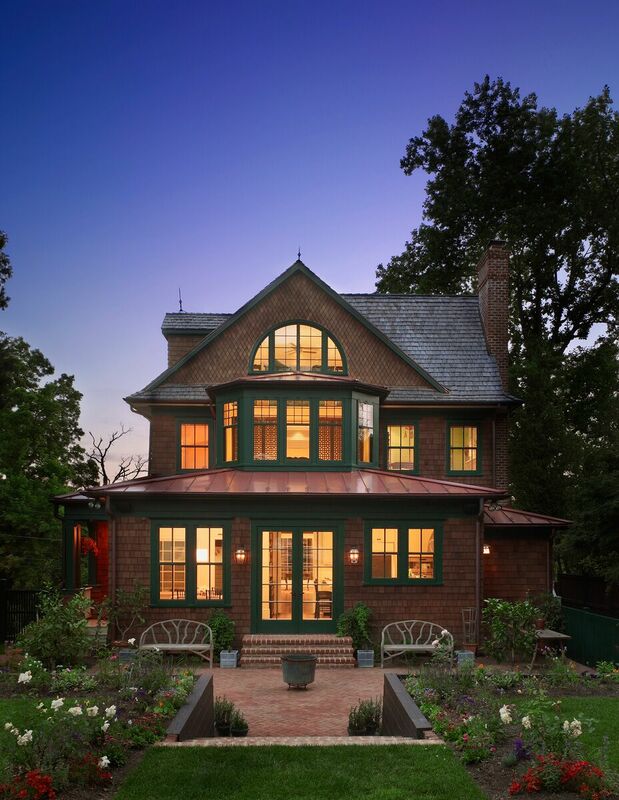 and the metal Roof above the porch..LOVE IT! Guess my only question is why did they paint one side green?? Maybe to balance the bushes on the right? It doesn’t look bad but if it were my house the front (with the exception of the door) would all have to be the same because the way it is now, would bug my need for symmetry just enough. 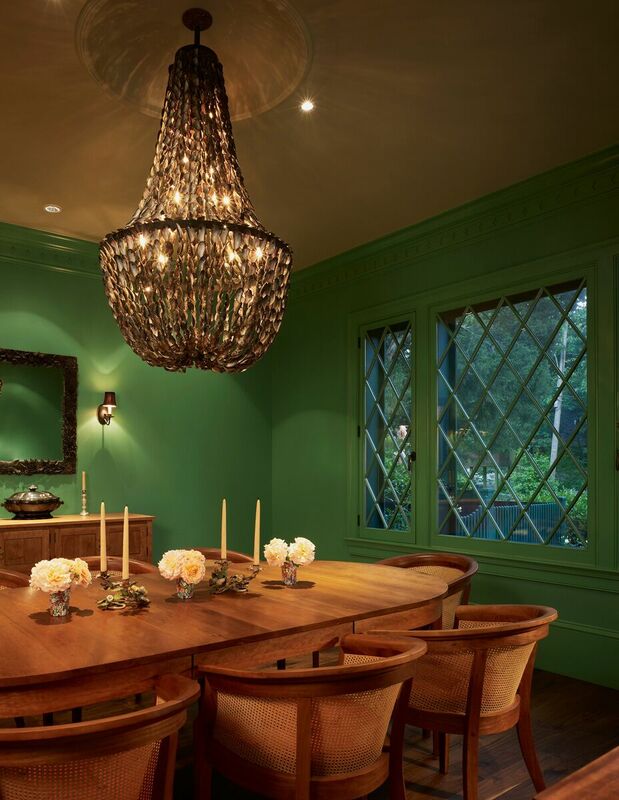 but it’s not my house so..
LOVE the Dinning room! That Chandelier is beautiful.. very elegant. So much beautiful details in this house! I love the bedroom with fireplace! And the top floor! 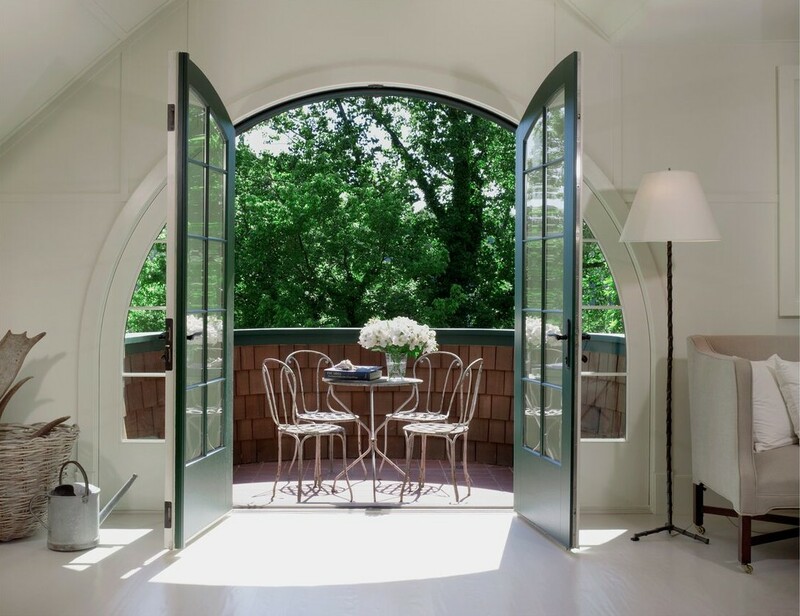 and the French rounded doors! And the garden! 🙂 Gorgeous! It’s so interesting to me how bright and airy the inside seems next to the darker exterior. An absolutely gorgeous house! Loved this one! Wonderful historical recreation, and is this not the definition of location, location, location!!! Love it! And everyone needs an aerie! I can’t deside where the Christmas tree should go….In My Dreams. Hi Julia, by my comment you will realise that I did not win any Lotto this time, never give is the motto here. 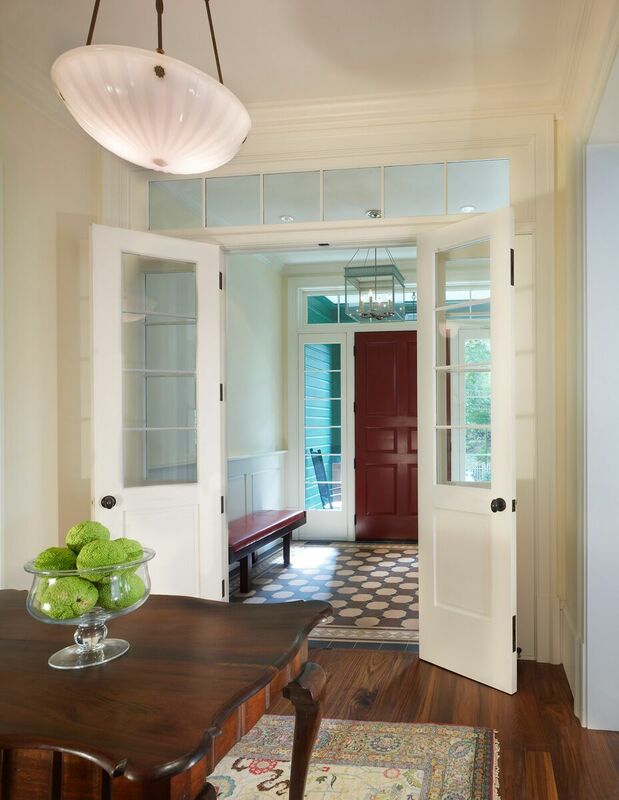 What a beautiful home, love the kitchen, the entrance, the French doors and all of the above. Thank you for sharing beauty. Till next time, regards Esther from Sydney. 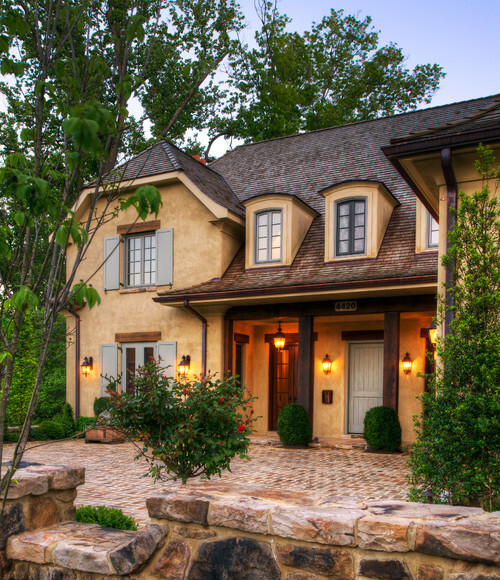 It looks like a very solidly built home with a lot of attention to detail. I love the exterior and the interior. Only minor decorating changes to make it just right. 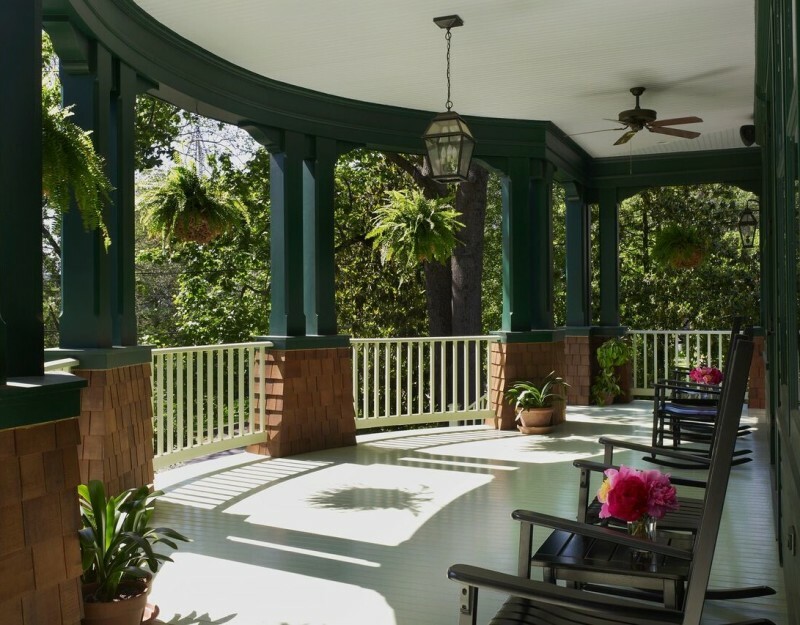 Love the Potomac Palisades home- the PORCH did it for me! 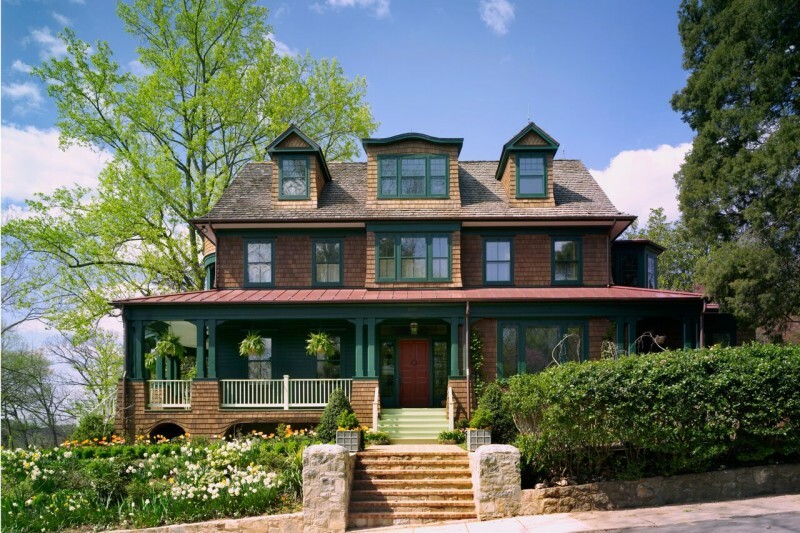 LOVE the house…. as others have said I would decorate differently. The only thing that made me twitch was the track lighting in the kitchen. So very Steel Magnolias. Love it on the outside. Not so much on the inside. Too modern and white for my taste. I would never, and I mean NEVER, paint wood trim around doors and windows. That totally ruins it for me. I’d also decorate differently. But I love the front porch — so roomy. And the floor tile in the entry and the kitchen are great evocations of vintage tile. I want my breath back! The exteriors, the porches, and the gardens have stolen it away! 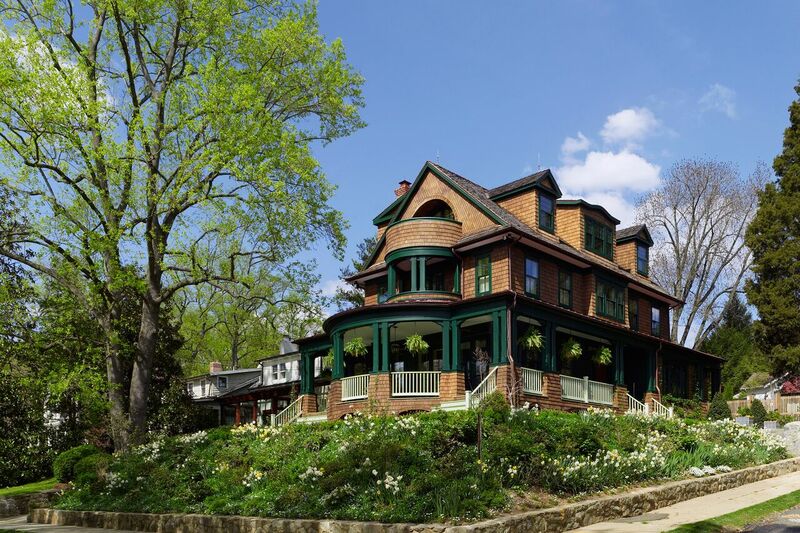 This home gives the best of both worlds, the charm and beauty of yesteryear and the convenience and amenities we want today. The photograph taken in the evening with all the lights blazing just makes me melt in the warmth and coziness it evokes.